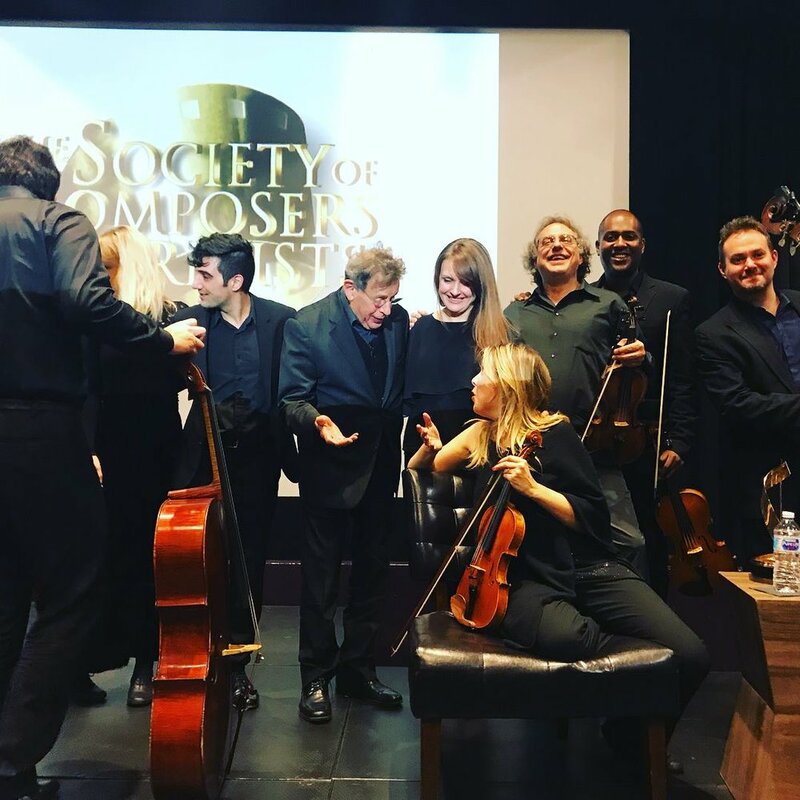 Members of American Modern Ensemble with Philip Glass at the Society of Composers and Lyricists annual holiday party and awards ceremony. AME Artistic Director Robert Paterson chats with Philip Glass at the Society of Composers and Lyricists annual holiday party and awards ceremony. The Society of Composers and Lyricists honors Philip Glass at its annual holiday party on Dec. 12, at MIST Harlem (48 W. 116th St.). Award presentation with Mr. Glass attending and talking, followed by AME performing film music from JANE and THE HOURS. Featuring our string quintet, piano, and harp.